“It’s just because you’re lazy.” Well, no. I mean, maybe that’s part of it, but there are actually several benefits to letting my lawn grow to the point of neighborly complaint comment. 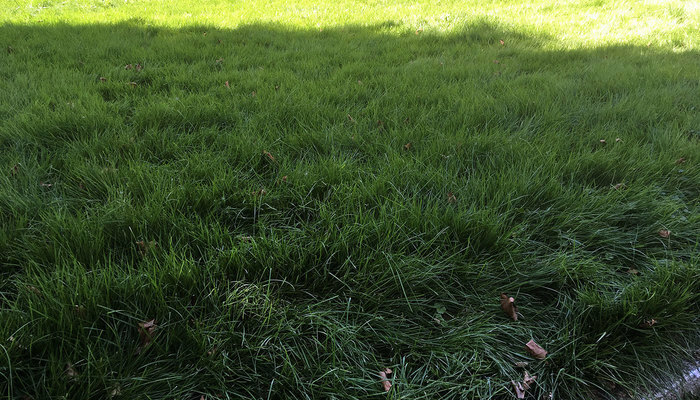 When I moved into my house 8 years ago on a cold blistery day in January, I had no idea what the lawn was like. For the first year, I cut the grass every weekend. 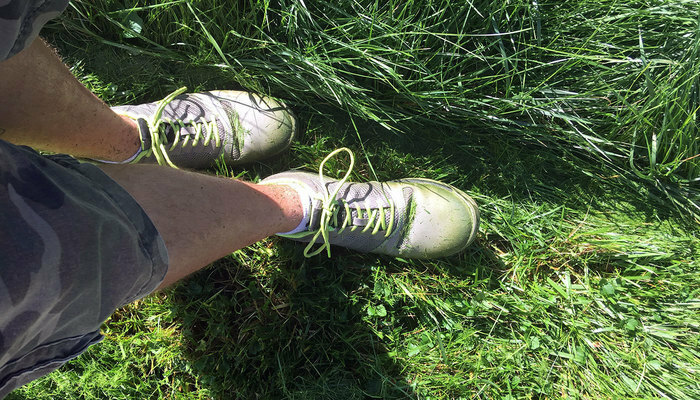 There were Canadian Thistles EVERYWHERE, so I assumed the best way to combat them was to cut them down as low and as often as possible, along with the rest of the grass. 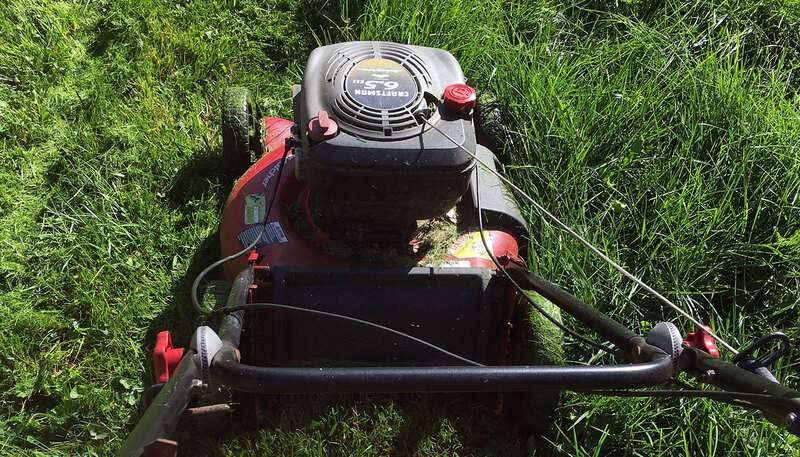 So over the next couple of years I experimented with the amount of time between mowings, the height of my push-mower’s deck, and the amount of grumbling comments I would get from the “lawn experts” in my neighborhood. I never buy grass seed, I don’t fertilize (other than with the blades of grass that get trimmed off), and the only time my lawn gets water is when it rains, or if my daughter is outside running through a sprinkler. But I do give my lawnmower a tune-up every spring, and I make sure the blades are always sharp. Trust me, I need them sharp. It’s not exactly the solution for every lawn, but it works for me. As I mentioned earlier, cutting my grass low and often kept the thistles growing. Letting the grass grow longer in the spring kept the thistles out of sight. Sure, they were still there for a while, but much less vigorous. They have gotten to the point where I can walk around my lawn once a month and pull a couple out, never to see them grow in that area again. That’s enough of a win that I could end the article with just that 1 benefit. But wait, there’s more. Letting the grass grow longer also allows it to get to seed once in awhile. The more grass seed on the lawn, the more grass grows. The more grass grows, the less room there is for the weeds. Double win. The longest span of time between mowings for me is around 6 weeks. That’s always in the summer. It originally spawned from me going on vacations with the family, and just never getting around to cutting the grass. But I realized that in the middle of August, I have the greenest lawn in the neighborhood. My next-door neighbor cuts his grass often twice a week, and his grass is always turning brown by the time we get into a heat wave. Out comes the hose, and then he has mud. My grass is green and luscious because the heat and dryness hasn’t made it down to the soil. I typically don’t do a first cut to my lawn until May, or late April at the very earliest. The reason for that is because I have all kinds of flowers that I’ve planted in the lawn. 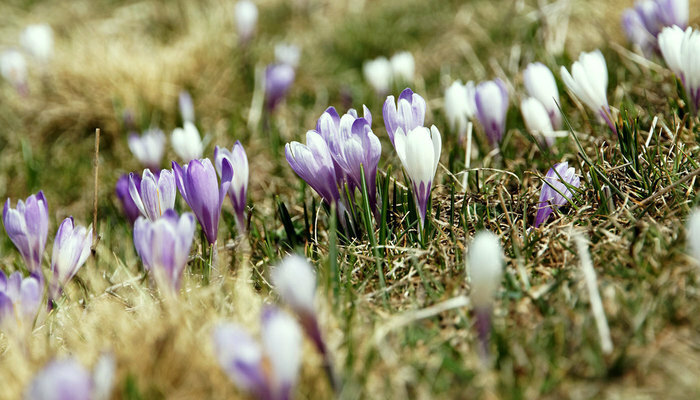 Before the grass even starts to turn green in the spring, tiny purply and yellow Johnny-Jump-Ups, stunning white Snow Drops, and so many different colors of Crocuses pop up. So many. My lawn is like a field of flowers in the spring, and I refuse to cut into that until there are no longer any blooms. Dandelion tea, dandelion wine, and dandelion pesto are all things that you’re more than likely to turn your nose up at. BUT dandelion salad… well you may have eaten that without even realizing it. Many companies include dandelion leaves in their mixed green salads, usually in spring mixes, or field greens. You pay $5, I'll eat mine for free. But dandelion isn’t the only edible thing in my yard. I’ve also got thyme sprouting around the edges, wild garlic popping up everywhere, purslane hiding below the tall grass, and itty-bitty wild strawberries vining throughout the entire yard. My lawn is a salad bar. Bees. Love. My. Yard. I don’t mind bees. I’ve always been in the school of thought where if you don’t mind them, they won’t mind you. Anyway, bees love my yard because I always have something for them to land on. 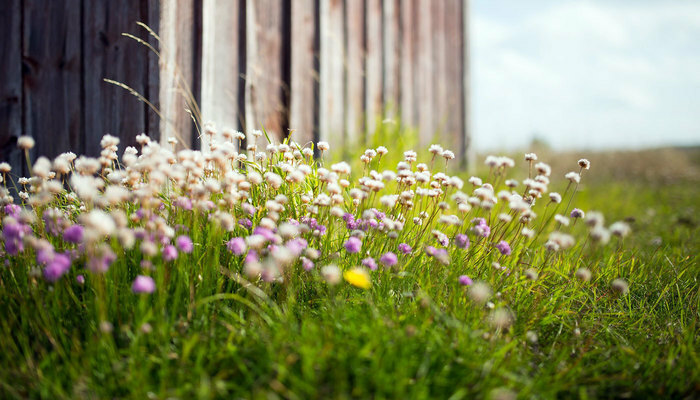 Whether it’s wild violets and english daisies in the spring, or white clover throughout the summer, they’re always buzzing around my grass. Which helps immensely with my garden… The more bees I get into my yard, the more bees end up in my garden in the summer and fall!